The San Juan Island archipelago consists of over 400 islands and rocks, though only 128 are named, and only four are easily accessible to the public by way of the Washington State Ferry system. There are beautiful coastal towns on each island, but they’re nowhere near the scale you’ll find in many other island chains in the world. We can’t blame the weather for that – the San Juans are in the “rain shadow” of the Olympic mountains, meaning they’re actually quite dry and temperate. The weather and geography are important to discuss because they’re all elements of an ecosystem that drew native populations here millennia ago. The islands encouraged salmon runs and resident whale pods moved in to strengthen the aquatic food chain; the land is fertile and the interior of the larger islands is now used for farming and wine-making to great success. If you like to be away from it all but with the comforts of home (good food, healthy lifestyle choices, and locally-grown wine), they come a-plenty in the San Juan Islands. In this guide, you’ll learn about the San Juan Islands, how to visit them, and what each of the four main islands has to offer. You can also learn about my experience enjoying one of the main attractions in the San Juans: whale watching! 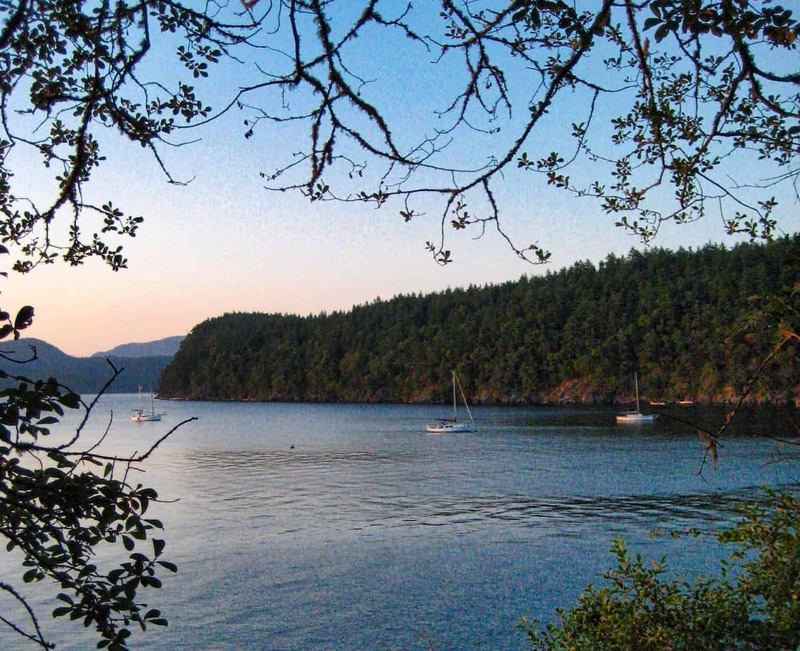 Which of the San Juan Islands Should You Visit? To visit the San Juan Islands from Seattle, make a 90-minute drive north to the town of Anacortes. From Anacortes, board a Washington State Ferry to one of the four ferry terminals in the San Juan Islands: on Lopez, Orcas, San Juan, or Shaw islands. 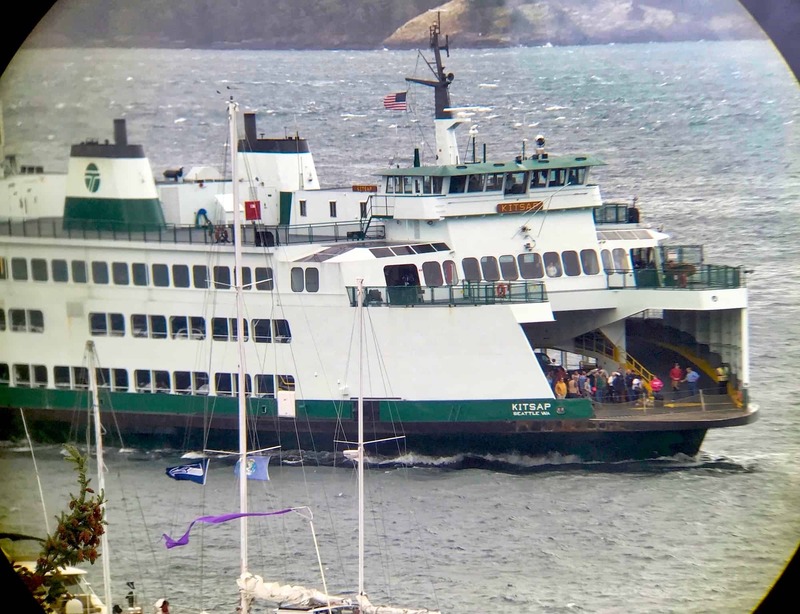 There are several ferry routes to choose from, depending on which island(s) you want to stop at; the best way to plan your trip is by visiting the WSDOT website and consulting their timetables. Pro-tip: I strongly advise you book reservations for the Washington State Ferry if you plan to visit the San Juan Islands, especially in summer. Reservations are usually available two weeks and two days before sailing. If you wait to book your reservation, you may not be able to board the ferry for several hours on the day of travel. When you plan your trip to the San Juan Islands, it’s important to consider which of the islands you want to visit. In this section, learn more about each island’s history and what makes each appealing to visit. Then you can jump down to dive into a short guide for visiting each island specifically. San Juan Island is the second largest island by size, but the most populated by far. It is home to roughly 7,000 people and has a long history due to its strategic position near the international border with Canada. On San Juan Island, you’ll be able to choose almost any activity: food and wine tasting, outdoor experiences, whale watching tours, or just strolling and shopping in towns like Friday Harbor. Orcas Island is the largest island in the San Juan archipelago, but is less populated and developed than San Juan Island. With a slower pace of life than its smaller sibling, Orcas is perfect if you want to go camping, hiking, or cycling across a surprisingly diverse landscape. Lopez is the third island you can visit from the ferry system. It is smaller than both San Juan and Orcas islands, but still offers a variety of outdoor experiences to enjoy. Cycling is especially popular, as is wine tasting from local vineyards; a trip that combines the two is a perfect combination you won’t experience else quite this way elsewhere in the Pacific Northwest. Shaw is the least developed of the four islands you can visit by ferry; there isn’t even a gas station on this island! Only 240 people call Shaw Island home year-round and most of Shaw Island is residential, with limited tourist amenities. Shaw is good for a day trip if you can time the ferries right, or camping overnight in one of the island’s state parks. As the second-largest but most populous of the San Juan Islands, the namesake San Juan Island is where most travelers visit. San Juan Island has the largest tourism base, historic sites across the island, and plenty of different experiences to enjoy, from museums and old military forts to whale-watching tours and wine tastings. San Juan Island is the most developed of the four main San Juan Islands, and there are two primary communities where you can base your trip: Friday Harbor and Roche Harbor. Friday Harbor is where most tourist amenities can be found, including hotels, restaurants, and tour providers. From Friday Harbor, you can set out on a whale-watching tour, drive to see some of the historic and cultural sites on San Juan Island, or just relax in your waterfront hotel room and eat at some of the delicious restaurants. Roche Harbor is more of a private community, though there are still a few things to do by way of shops and restaurants, and one main hotel, the Hotel de Haro. 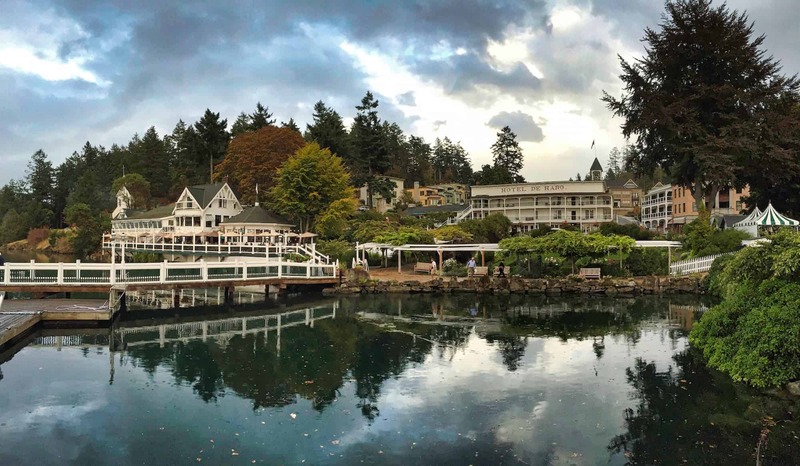 Roche Harbor has a slightly more posh feeling than Friday Harbor and is a great escape if you’re just looking for a luxury getaway without planning to see much of the island. The first stop for any visitor should be The Whale Museum. This small museum highlights the cultural and historical significance of Orca whales in the area; for just $6, you can spend an hour exploring and learning about many different species of whale, and you can even adopt one of the resident orcas through their Adopt-An-Orca program. Once you’ve learned about whales, it’s a good time to head out on the water with a whale watching tour. There are plenty of other service providers in the area. Most ask for reservations in advance, but you’ll probably be fine just turning up. There are plenty of hiking throughout the state parks. The most popular is Lime Kiln State Park, where you can also watch for whales off the shore. Cycling is a common activity along the winding country roads. Kayaking and stand-up paddle boarding are also popular options if you love watersports. You can also learn the history of the San Juans Islands on San Juan Island. Visit either or both English Camp and American Camp to learn about “the pig war.” Throughout a period of time that most Americans and historians look east to examine the cultural impact of the Civil War, there were British troops living on what everyone eventually agreed was American soil. 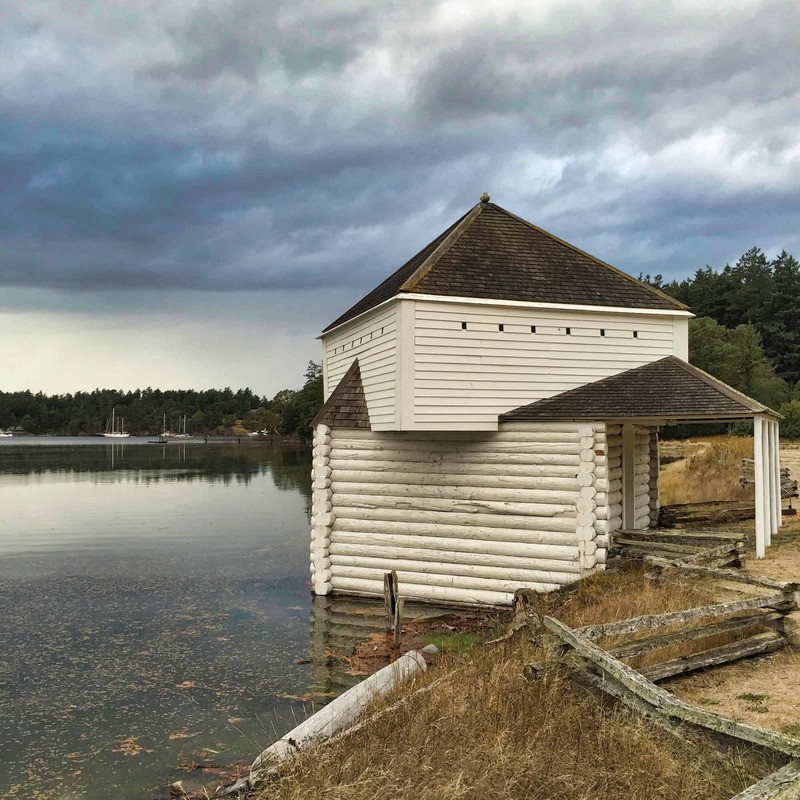 No battles were fought and no lives were lost (other than the pig), but you can still explore both English Camp and American Camp on San Juan Island. Perfect for History Buffs. 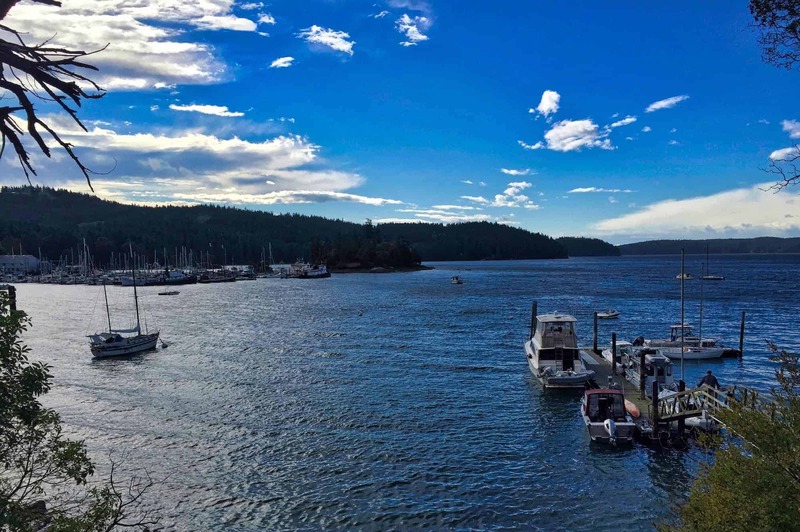 If you want a hotel with a view, Friday Harbor House or the Hotel de Haro in Roche Harbor are your best options, but be prepared for the cost that comes with stunning waterfront views. The Island Inn is an interesting blend of accommodation styles, with both private suites and private rooms which share common areas. If you’re looking something smaller or more private, Bird Rock Hotel or Earthbox Inn & Spa are good options. If you want to camp, there are four campsites on San Juan Island: The Fairground, Lakedale Resort, County Parks, and Free Horse Farm. Learn more on the San Juan Islands website. The largest town on Orcas is Eastsound, home to 3,700 people. Located ‘in the bend’ of horseshoe-shaped Orcas Island, it’s also the perfect place to base yourself for exploring the whole of the island. You can reach either end of the island within a 30-minute drive. Other small communities you can pass through include Westsound, Olga, and Deer Harbor, where I stayed at the Blue Heron Bed & Breakfast. 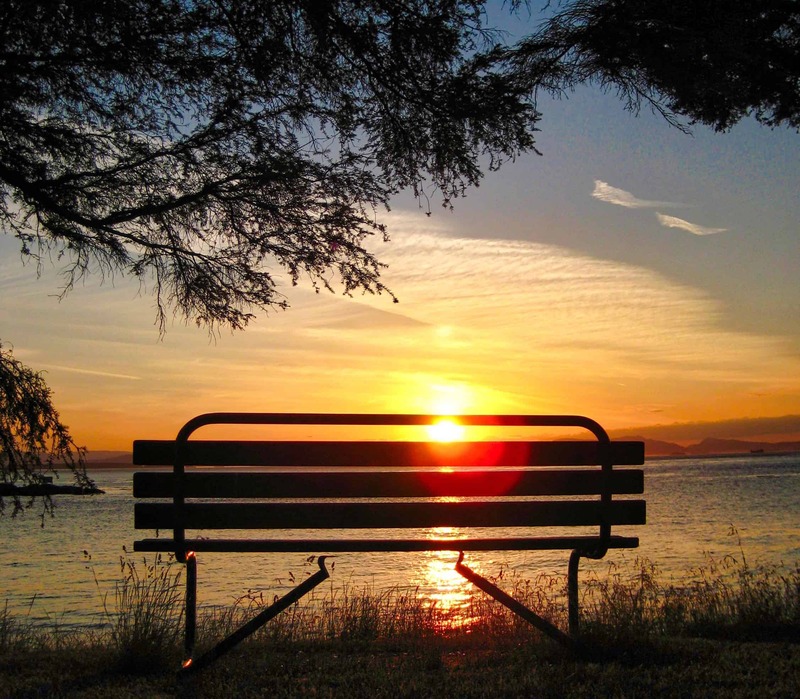 On Orcas Island, the main attractions are all provided courtesy of mother nature; if you want to experience nature, Orcas is the place to do it. Moran State Park is the main attraction, home to 38 miles of hiking trails and the 2,398-foot Mount Constitution. Whether you hike, bike, or drive to the top, you can enjoy stunning views from the top of the mountain – the highest point in the San Juan Islands. Other popular activities on Orcas include kayaking, whale-watching, and sailing, which can be done from many outfitters on the island. As you’ll find on all of the San Juans, cycling along the winding roads on Orcas is another popular activity for those who love to combine fitness with sightseeing. Most accommodation on Orcas Island is more rustic and local than national chains or five-star luxury. 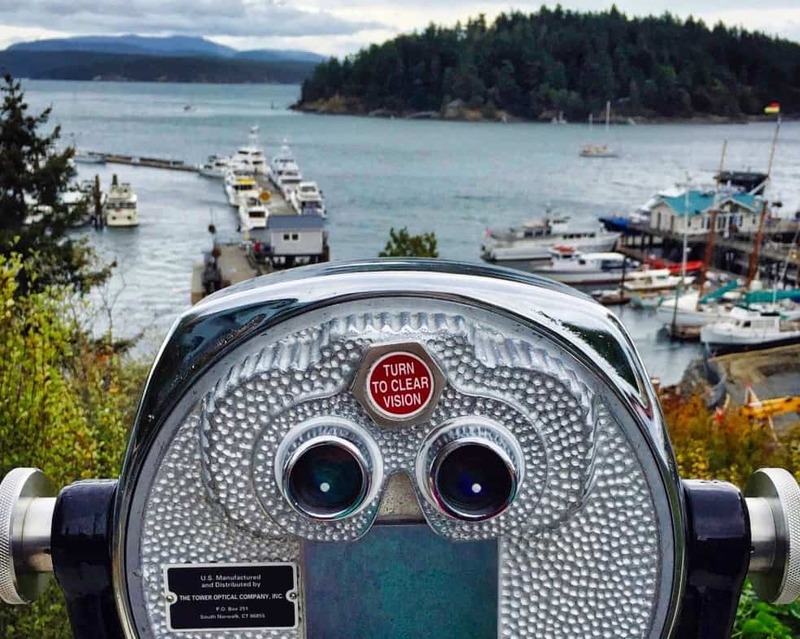 I consider that a plus since you’re looking to actually experience the San Juan Islands if you’re planning a visit using my guide. For a guesthouse option, the Orcas Hotel is a stone’s throw from the ferry terminal. In Eastsound, the Outlook Inn is a well-located option with stunning waterfront views. For most travelers, visiting San Juan and/or Orcas islands are as much as they want to see of the San Juan islands. Lopez Island is less visited and thus more local, and as you’ll see first hand. You can wander through Lopez Village or cycle along Lopez’s easy, flat roads to one of the wineries and farms for a tasting tour. 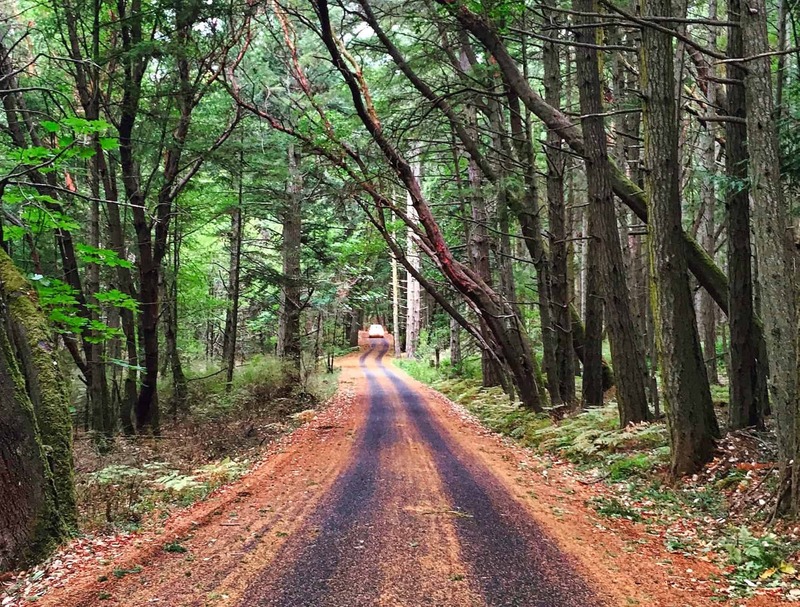 As mentioned, one of the most popular activities on Lopez Island is cycling, and it’s paired best with a destination: Lopez Island Vineyard & Winery has delicious local wines, in search of a geocaching spot, or through historic Lopez Village. Like Orcas Island, accommodation on Lopez is more rustic and cozy – but you won’t sacrifice comfort in the process. Shaw Island is the smallest of the four ferry-serviced San Juan Islands, a mere 10 square miles in size. This makes it perfect for a day trip: you can catch a ferry from one of the other islands in the morning, spend the day walking or cycling around, have a picnic, or enjoy the scenery, then catch the ferry back. There are no restaurants, hotels, or markets, so be sure to bring anything you need with you for a day trip to Shaw Island. If you forget something, the small general store and deli might have it, but it’s better to ensure you have whatever you might need. One of the main experiences in the San Juan Islands is whale watching, which is perfect as there are waterways all around. There are several resident pods of orca whales which live in the waters around the San Juan Islands year-round. If you want to go whale watching in Washington with as close to a guarantee of seeing whales as possible, setting out from Friday Harbor is one of the best places to do so. San Juan Island Whale & Wildlife Tours is one of several outfitters in Friday Harbor; I sailed with them in the summer of 2015. Captain Niles was our guide for the day, and he did a good job assuaging my seasickness anxiety before we departed Friday Harbor for the Haro Strait in search of whales. The three pods of resident orcas in the waters around the San Juan Islands are common to see, but they are also active and can take a lot of communication between boats to figure out exactly who is where. I have seen whales all over the world: humpbacks and belugas in Alaska, minke whales in Iceland… but when I tell people that I’ve never seen an orca, they’re surprised. We also got really lucky to come across one group that was feeding. Captain Niles mentioned that often after feeding, they get excited and like to show off. Just a few minutes later, his words proved true. As I mentioned, these whales are all part of pods that are classified as “residents” to the waters around the San Juan Islands. They don’t migrate away throughout the year, and this gives scientists a chance to really study them. At the Whale Museum in Friday Harbor, you can see family trees to learn about lineage and the unique markings these whales have. It’s also fascinating to learn that these whales are likely a slightly different sub-species of Orcinus orca because they have both different markings and different dialects of orca language. Captain Niles gave our tour a lot of time to watch the whales, far longer than our original tour had been scheduled. It was great to sit on the basically calm water with the engine off, waiting for the characteristic sounds of a whale spouting. On the way back to Friday Harbor, we took a small detour to an island covered with sea lions and seals. There are several providers of whale watching tours from Friday Harbor. Tours with San Juan Island Whale & Wildlife Tours start from $99 for adults and $79. for children. And that’s it! What else could you possibly need to know about the San Juan Islands? If you have questions, let me know in the comments.